Binder and Binder is a US based law firm which specializes in offering legal services regarding social security law and is known to have the America’s best social security attorneys. The firm also offers quite a few other practice areas but they are acknowledged the most for their contribution to the social security administration of the United States. Social Security disability advocates are the unique selling point of the firm. Binder and Binder puts up legal honorable fight for all clients who are no more eligible to work due to some medical condition or an accident but have proved to be of significant value in the past and have paid their social security taxes throughout the time they were earning. Binder and Binder have a widely spread network within the United States and have a client base from all corners of the country. The firm aims at making life better for those who are not in the condition to earn on their own anymore. The team of dedicated attorneys and lawyers ensure that their clients get the best of the representation and are given a fair fight in the court. Binder and Binder set an example for other law firms by sending one of the attorneys to another state to make sure that their client is represented well. Alongside strong professional assistance, clients of Binder and Binder do not have to pay the law firm anything until and unless they win the case for them. And in most cases, where the firm wins against the government, they are paid by the government and the client does not have to make any payments to the firm. The firm believes in giving people their well-deserved right of money from government. Over the time, Binder and Binder has incorporated some significant changes in their method of operations. They believe in constant up-gradation of the technological system in order to ensure there are no unnecessary delays in the output and the lawyers are given top-notch opportunities to make the best out of them. Video conferencing has become a popular tool at Binder and Binder as it has a major chunk of hearing with the government and video conferencing makes it easier for the clients. Q:Binder and Binder law firm is located in which area? A:Binder and Binder Law firm has many offices spread across the country. These offices are strategically located in important business areas to cater to legal needs of the densely populated areas. The firm's offices can be found in Phoenix, Hayward, Los Angeles, Denver, Chicago, Bronx, Brooklyn, Columbus, Raleigh, Philadelphia, Seattle, Houston, and Dallas. Q:Does Binder and Binder Law firm specialize in the area of injury? A:Yes, Binder and Binder Law firm does specialize in the area of accidents and injury. They have a specialized team of lawyers who cater to injury claims. The firm provides legal services needed in claims such as the following: workplace accidents, workers compensation, car accidents, accidents at home, construction accidents, defective product injury, dangerous road condition accidents, stress and emotional injuries, animal attacks, pedestrian accidents, and bicycle accidents. Q:What is the mission statement of Binder And Binder Law Firm? A:Binder And Binder Law Firm has created a set of mission objectives for itself. It believes in staying ahead of firms and providing above average services to customers. They follow a strict standard of quality in every process. Binder And Binder Law Firm listens to its clients and aims at resolving disputes in a better and nicer way. Q:Binder And Binder Social Security firm requires you to provide which information in order to process your SSD claim? A:To process your claim for SSD benefits it is important that you provide the firm with the following basic documents and information: birth certificate, proof of age, social security card/social security number, residence in formation and mortgage status, account information, loam information, information on your disability physician, and other information about your source of income. Q:Why are the Social Security Advocates at Binder and Binder law firm considered as one of the best? A:Advocates at Binder and Binder law firm offer customized legal services to its diverse client list. Core emphasis is given on quality and developing client trust. The firm has successfully created a competitive edge by offering excellent legal Solutions for even extremely complex cases. Innovation and creativity is encouraged at Binder and Binder law firm. Q:To receive SSD Benefits, what is the minimum eligibility criteria? A:To receive SSD benefits it is important that you are eligible. You must have worked at least ten years in an occupation, and you suffered from disability for at least five years while on the job. You must also have acquired 20QC's in the past ten years. The procedure for getting your SSD benefits will also depend upon your age and insurance status. Q:Who are the social security attorneys running Binder and Binder law firm? A:Binder and Binder law firm is run by Harry Binder and Charles Binder. These two professionals have created a reputation for themselves with hard work and superior law services. Harry Binder is law graduate form the City College in NY, and is a member of the bar. On the same hand, Charles Binder is a law graduate form Georgetown University and has expertise knowledge in the area of disability law. Both attorneys have vowed to help all those being deprived of their social security benefits.  Q:What information can you give about the Social Security Law practice area at Binder law firm? A:Binder and Binder law firm specializes in various areas of social security law. Its attorneys and lawyers are skilled in handling all kinds of claims that arise from social security disability conflicts. Following mentioned are the major category the firm deals with: SSD and SSI myths, Social security disability application, filing for social security disability, requirements of social security disability, insurance for social security disability, taxes and social security disability, and social security disability status.